When Christine Bannon-Rodrigues first bowed in she was 13 years old. At the time the Rhode Island teenager never realized that she would one-day reign supreme as one of the super stars in the world of martial arts. 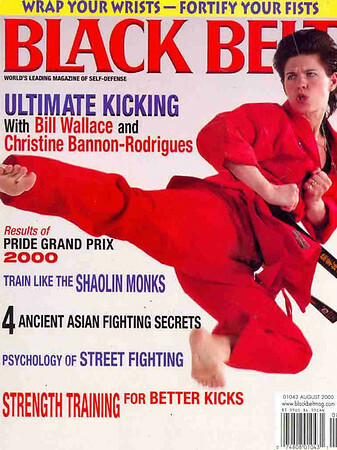 Christine studied Kenpo and Wu shu, earning her black belt at age 17. She quickly became the person to beat in fighting, forms and weapons. A formidable competitor Christine was a triple threat wherever she went. Her skill as a fighter was proven time and time again, and in forms and weapons Christine was unstoppable. 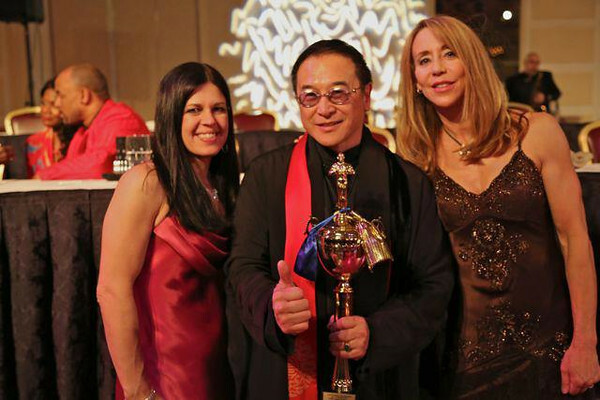 In 1991 Christine astounded the martial arts world by becoming a Triple Crown winner at the WAKO World Championships in England. I won three gold medals in forms, fighting and weapons,Christine recalled. Everyone thought it was a freak occurrence and that I was just lucky. That got me worked up so I decided to prove my critics wrong, so in 1993 I did it again After winning her second Triple Crown she turned her talents and efforts into becoming a TV and movie star. Martial arts legend and action choreographer Pat Johnson hired Christine to double the star in The Next Karate Kid. This led to roles in Mortal Kombat, WMAC Masters where she starred as Lady Lightning and she stunt doubled Alicia Silverstone (Batgirl) in Batman and Robin. 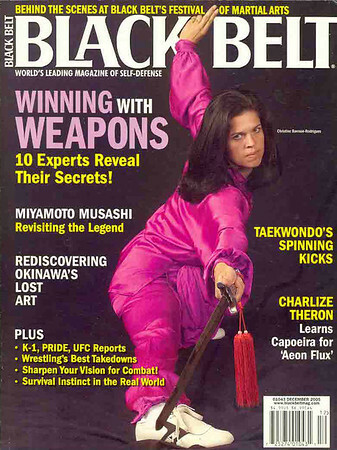 been featured on the cover of every major martial arts magazine in the world and she has written and starred in more than seven instruction videotapes. She is also the darling of the trading card set, being featured in the 1992 John Paul Mitchell National Karate Team Premier edition, Karate Kards, Sport Karate Champions, Martial Arts Masters Trading Cards, Premier Edition and the International Card Collection of Athletes medallion collection. With an eye on the future, Christine says that the Black Belt Registry will be of great benefit to all martial artists, The access it gives us (martial artists) to everything from training tapes to gear and so much more is amazing,Ã‚Â she says. One of the things I use it for is finding authentic Chinese weapons. The Internet and the Black Belt Registry is going to take martial arts to its next level.